Global printing and technology solutions leader Brother Philippines recently opened its new and improved extension office in Naga City. Formerly located in Penafrancia Avenue, the service center, which also serves as an extension office, is now located at the ground floor of the ANR Business Center Concepcion Grande. 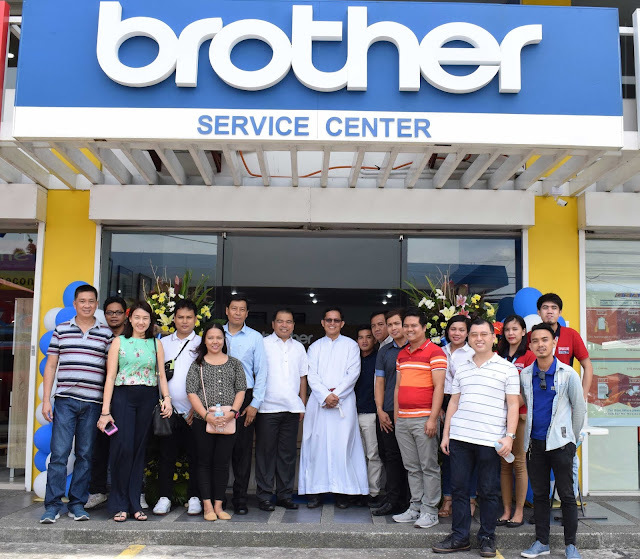 Officially opening the new establishment with the Naga Extension office team and retail partners are Brother Philippines Senior Manager for Customer Service Mr. Joel Demanarig (6th from the left) and Brother Philippines President Mr. Glenn Hocson (7th from the left). Customers and partners may reach the Naga Extension Office at (054) 871 6675 between 8:30AM to 5:30PM on Mondays to Fridays, except for holidays.